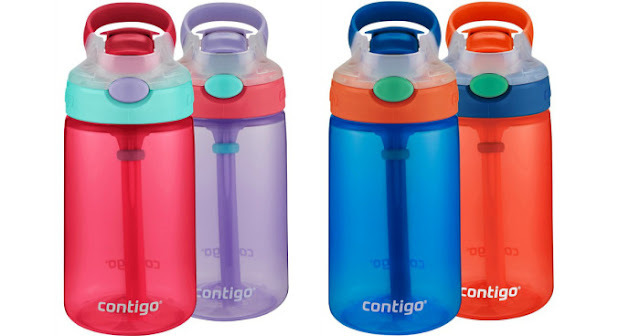 Head over to Amazon where you can score these 14oz Contigo Kids Gizmo Flip Water Bottles in Blue/Coral or Wisteria/Cherry Blossom for as low as $15.19 That makes each bottle just $7.60! These water bottles are BPA-free and the protective spout cover helps keep out gross dirt and germs. Plus, the straw is tethered so you don’t have any separate pieces to worry about.